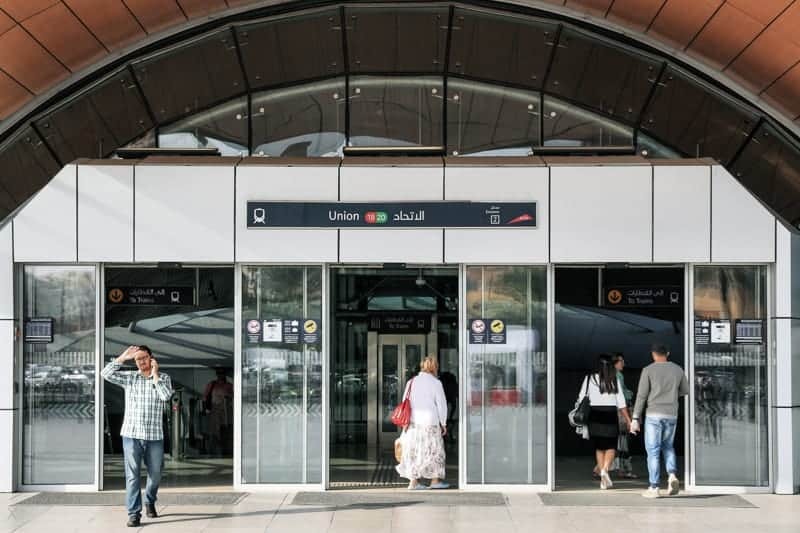 Union Metro Station is one of the busiest stations on the Dubai Metro. It is a transfer station and serves both the Red Line and the Green Line. 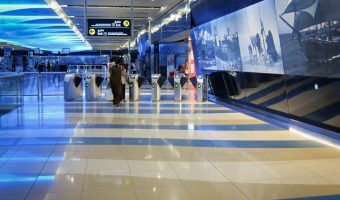 The station is located on Union Square in the Deira area of the city, just a short walk from the Dubai Creek. Places of interest nearby include Al Ghurair Centre. Union Square Bus Station is just west of the station. Adjacent stations on the Red Line are BurJuman and Al Rigga. Those on the Green Line are Salah Al Din and Baniyas Square. Novo Cinemas Al Ghurair Centre (0.3 miles) - 8-screen cinema at Al Ghurair Centre. 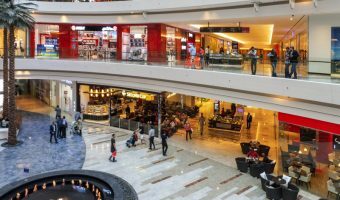 Al Ghurair Centre (0.2 miles) - Shopping mall in Deira. Stores include Carrefour and Centrepoint. Creekside Japanese Restaurant (0.3 miles) - Japanese restaurant at the Sheraton Dubai Creek Hotel and Towers in Deira. Buffet nights feature various Asian cuisines. 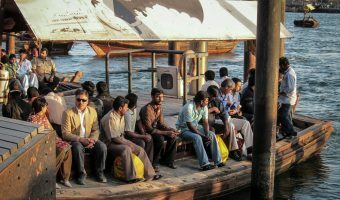 Terrace offers good views of the Dubai Creek. Map showing location of Union Metro Station. 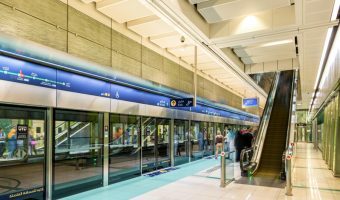 Guide to Baniyas Square Metro Station. Shopping mall in Deira. Stores include Carrefour, and Centrepoint. Movie listings and times for Novo Cinemas at the Al Ghurair Centre in Deira.